Many musical occurrences have happened since we last updated the website. Back in September of last year, I was privileged to be a part of the Rex Foundation benefit concert, “ Comes A Time ,” which, of course, was a tribute to Jerry Garcia . It was an honor and a privilege to be on stage again with my brothers, Bobby, Billy, and Mickey, along with a plethora of astounding, participating musicians! (Go to www.dead.net for details.) It was an amazing evening of great music, wonderful friends, and a very special audience. I believe all would agree that the music at the Greek Theatre in Berkeley was sterling, and the atmosphere was of a quality that raised us all up! A fitting tribute to a man, friend, and musician who influenced us in so many ways. I always love sitting in with my good friends, the Dark Star Orchestra , and in December, found myself in Washington D.C. at the “ 9:30 club” for yet another wonderful “Black Tie-Dye Ball” concert for the Rex Foundation. As well, it was a time to honor Scott Larned , The Orchestra's beloved keyboardist who passed away last year. 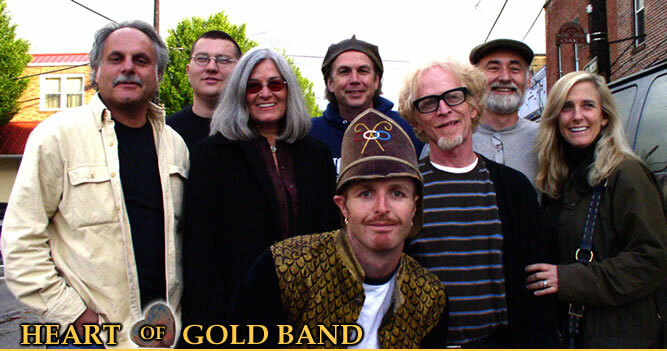 As the Heart of Gold Band is on temporary hiatus, the members are full steam ahead with individual musical projects. I am enjoying a “full life” these days! The Zen Tricksters and I hit it off so well both personally and musically, that we couldn't help but join together in a musical collaboration that we affectionately call Kettle Joe's Psychedelic Swamp Revue . This new band incorporates our original material as well as choice selections from my tenure with The Grateful Dead, Jerry Garcia Band, and Keith & Donna. Along with the Tricksters, who are Jeff Mattson, Klyph Black, Tom Circosta, Joe Ciarvella , is Mookie Siegel, Wendy Lanter , and myself . After rehearsing the band in New York , we played our first two shows in Plains, PA at River Street Jazz Café , and Mexicali Blues in Teaneck , NJ . We're having big fun together, so catch us when you can! Upcoming show dates are posted on this website as well as www.zentricksters.com . In March of this year, another unexpected pleasure was being asked to be a part of the Zero reunion called “Chance In A Million” at the Cervantes Masterpiece Ballroom in Denver . 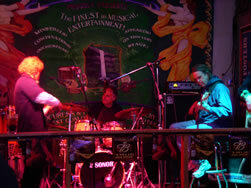 They had not played together in six years, so it was an anticipated event for the band as well as Zero fans. Zero's Greg Anton and Steve Kimock were members of the original Heart of Gold Band with Keith Godchaux and myself back in 1980, and are dear, dear friends. Needless to say, joined by two other long-time friends, Martin Fierro , and Pete Sears , it was profound enjoyment! New friends, Judge Murphy , Arnie Green, Liam Hanrahan , and the young and very talented John Morgan Kimock , rounded out the line-up, and a special time was had by all. I will join Zero for more shows this summer that are to be announced. Stay tuned to www.zerolive.com and this website for dates. If that's not enough, I am an “honorary” band member in the “ Fiddleworms ,” a Muscle Shoals-based band (also on Heart of Gold Records ), gaining steam in the South. I love singing with these guys, and whenever my schedule permits, I do! The band is singer/guitarist Russell Mefford , guitarist/singer Rob Malone , drummer Scott Kennedy , bass player David MacKay (my husband! ), and Clint Bailey on keys. Strong on original material, the band rocks the house. For shows and more info, go to www.fiddleworms.com . My son, Zion Rock Godchaux and his band, “ BoomBox ” have been doing a lot of traveling in the past year, opening on occasions for the Dark Star Orchestra , and once for the Steve Kimock Band . They have played a couple of times at Nelson Ledges Quarry Park in Ohio , and will be there again this year for Gratefulfest . Check out their website www.thisisboombox.com for show dates, their new CD, “Visions of Backbeat,” and a look at this unique band's approach to music, also featuring Russ Randolph and theatrical aerialist Kim Hagen . My youngest son, Kinsman MacKay is hard at work writing, producing, and engineering for his lively rap band, “ The Deceptakons , ” who are close to releasing their first CD and beginning to do live shows in the South. Brian Godchaux was also part of “Comes A Time” in Berkeley , playing fiddle with David Nelson and Sandy Rothman in a beautiful acoustic set. Brian continues to play with fellow bluegrass musicians in the San Francisco Bay Area. Mark Adler ( www.markadler.com ) continues to compose and score music for films (recently, “Marilyn Hotchkiss' Ballroom & Dancing School ,” and “When Do We Eat?”), and Joanie Diener remains a top music editor for films (“The Shaggy Dog”). We look forward to playing together again when everyone's schedule permits. Well, folks, that's just about all the news for now, but more is sure to be on the way! Feel free to email. Individual addresses can be accessed under “band” on the home page.